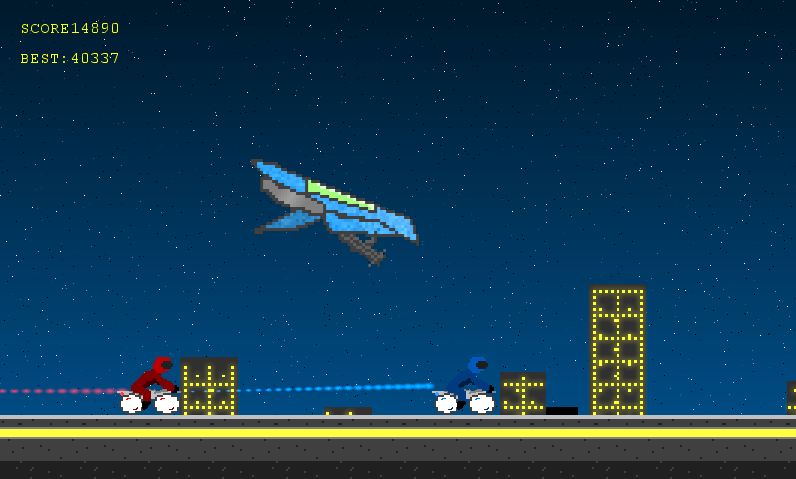 Dodge bikes, bombs, and bullets, whilst surviving as long as possible on a megacity highway. Made for Cyberpunk Game Jame 2014. Made using Gamemaker Studio, Paint.NET, and Caustic 3.